No matter the size and condition of your fleet or the type of applications and work environments, keeping your equipment operating in peak condition is the only way to ensure productivity. 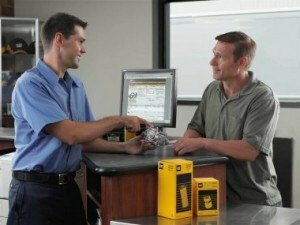 A Cat® Customer Support Agreement (CSA) is a comprehensive, scalable answer for putting your machines, engines and power systems on an effective preventive maintenance program. When you partner with Michigan CAT to manage the health and performance of your fleet, you receive everything you need from a single, trusted source. A CSA covers everything from basic maintenance such as oil changes and battery and tire services to complete diagnostics, fluid analysis and advanced equipment monitoring. Take the worry out of working in an industry that relies heavily on construction equipment — we’ll help you find a solution that eliminates extended downtime and unpredictable repairs at a cost-effective, set monthly fee. As the authorized Cat dealership for Michigan’s lower peninsula, Michigan CAT is uniquely equipped to service, maintain and repair your equipment, power systems and related machinery. We only work with factory-trained technicians who utilize the latest tools and technologies. We also have access to a complete range of parts and components via the extended Cat dealer network, making us a trusted local source with world-class capabilities. Contamination Control – Identify system contamination complications before they lead to more extensive damages and repairs. Equipment Inspections – Multi-point visual inspections and remote equipment monitoring ensure critical systems are in prime working condition. SOS Fluid Analysis – Keep tabs on component wear and receive timely service recommendations to extend equipment service life and avoid additional complications. 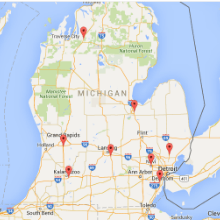 Trust Michigan CAT to create a Customer Support Agreement that’s tailored to your specific needs. Contact us today for additional information and a free, no-obligation quote.